Posted on 15th November 2018 at 11:24 am. Having a small courtyard-style garden can, in fact, be a blessing for some, as less garden means less maintenance. However, just because you may be short on space doesn’t mean you can’t still have a beautiful garden that’s perfect for relaxing and entertaining. By using some creative ideas and doing a little careful planning, you’ll find that you do, in fact, have lots of options to create a stunning courtyard garden that is the envy of all your neighbours. You just need to make the most of the space you have. And that is exactly what we’re looking at in our latest article, which is full of tips and practical advice for creating the perfect courtyard garden. Let’s dive straight in with the first idea on our list of top tips for your courtyard garden. One of the biggest challenges faced by gardeners in a courtyard environment is the lack of sunlight. The very nature of a courtyard garden means that it will be a sheltered space that will only ever receive limited sunlight. This makes growing real grass an almost impossible task. However, just because you can’t grow the real thing, it doesn’t mean you can’t have a lush green lawn. Artificial grass is perfect for courtyard-style gardens as, of course, it doesn’t need any sunlight at all. It is also very low maintenance, and there’s no mud or mess, either. The quality of artificial grass these days is so good that it is very difficult to tell real apart from fake. Even the most diehard gardeners are seeing the benefits of artificial grass, particularly in areas where the real thing just won’t grow, such as in a courtyard garden. There are many different colours and styles of synthetic turf to choose from; however, for a courtyard garden, we recommend choosing a light-coloured green to help brighten up your outdoor space. If the grass is likely to receive plenty of wear and tear, and particularly if you have dogs and pets, we’d also highly recommend that you choose a turf that has Instant Recovery® technology. This unique technology ensures that the fibres of your fake turf will recover with ease from foot traffic and pressure from items of furniture, and return to an upright position. This will increase the longevity of your lawn. Check out our range of artificial grass or request your free samples today and see for yourself just how fake turf could transform your courtyard garden. We’ve already touched upon the fact that courtyard gardens receive very little sunlight. This does, of course, rule out sun-worshipping plants and shrubs, such as irises, lilies, dahlias and tulips, which also love dry conditions. However, there are still plenty of stunningly beautiful plants and shrubs that will thrive in shady conditions to choose from. Fortunately, the list of shade-loving plants is a surprisingly long one, so much so that listing them all would take up far too much space on this post. 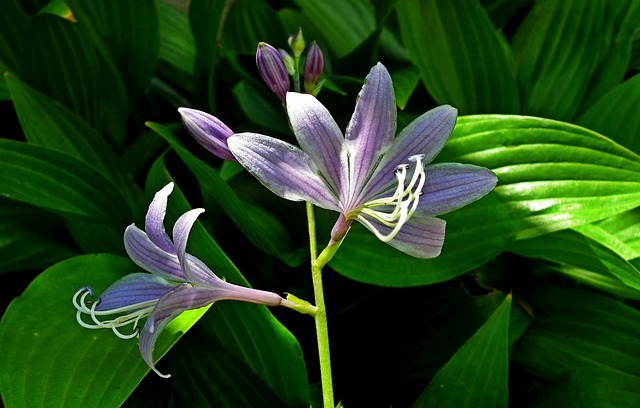 But some of our favourite shade-loving plants, which we highly recommend for your courtyard garden, include hostas, bluebells, hardy geraniums, Japanese maples and rhododendrons. Having a garden that lacks sunlight is maybe not quite as restrictive as you perhaps first thought. And the upside of shady areas, of course, is that the lack of sunlight will mean less weeding to be done. If you’re short on space, you need to make the most of every square foot in your garden. 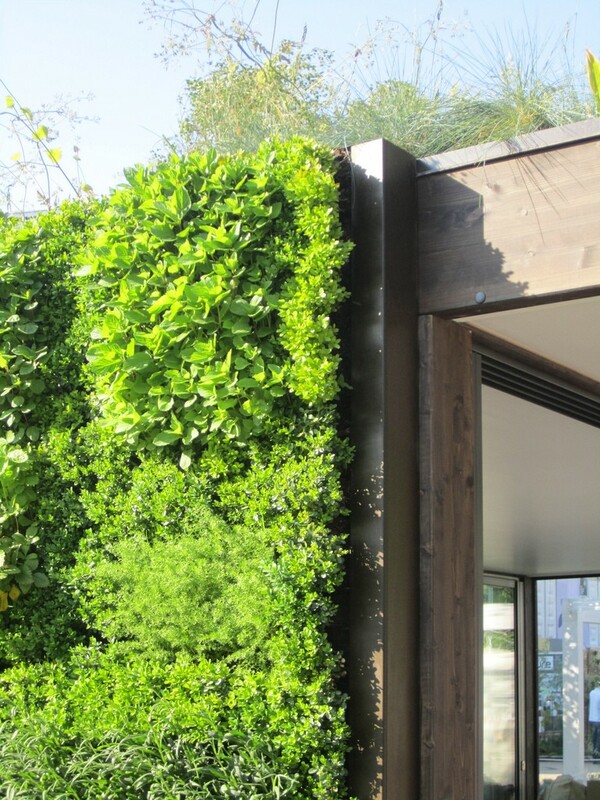 By creating a living wall, you’ll create the perfect feature within your garden. They are easy to build, too, and you can buy special containers and kits at low prices that make them easy to assemble for even a novice DIYer. Containers can be fixed directly to a brick wall or sturdy fence, and then all you need to do is add the plants. To make it extra low maintenance, you can also purchase a built-in automatic watering system, so you don’t even have to worry about watering the plants. If a full-blown living wall sounds like too much, then you could install some simple hanging baskets. You should try to keep your courtyard garden as open and as accessible as possible. Putting up screening, and including large shrubs or trees, will only make the space feel even smaller. 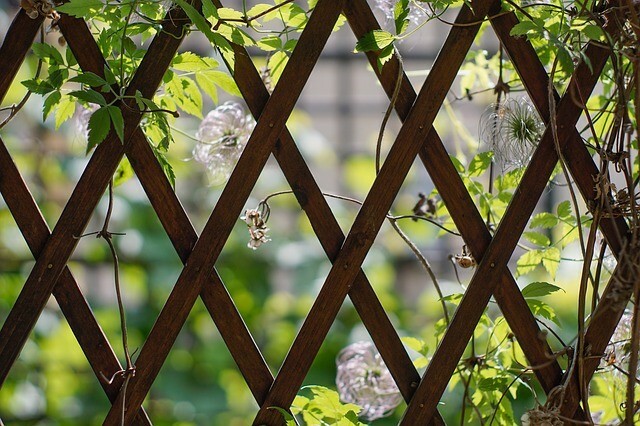 We would also recommend that you avoid putting trellis on top of your fencing, as it will further block out sunlight. This can be tempting to do, to help block out neighbours and afford extra privacy, but it will also make the garden feel even more enclosed. Unless it’s absolutely necessary, our advice is that, in this case, it’s best avoided. Every garden needs a patio for a place to sit and relax. 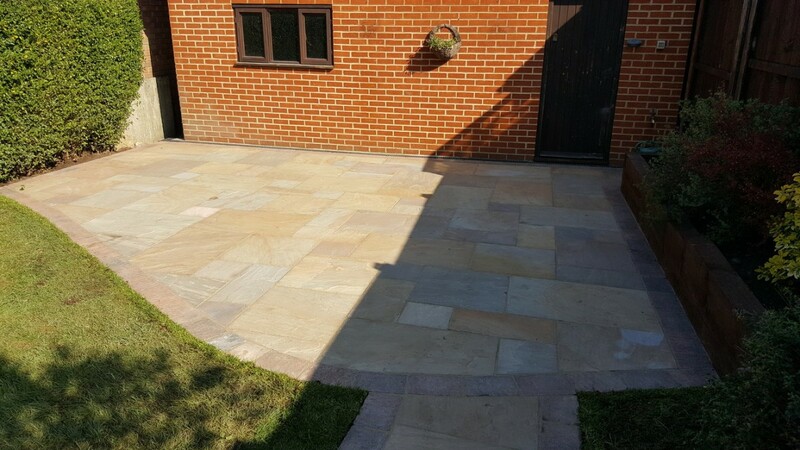 In most gardens, patio areas tend to be next to the house, but with a courtyard garden that lacks sunlight, you’d be best off positioning it in the area of your garden that receives the most light, wherever that may be. Keep a note of exactly where the light is in your garden at different times of the day and choose the area that receives the most sunlight. 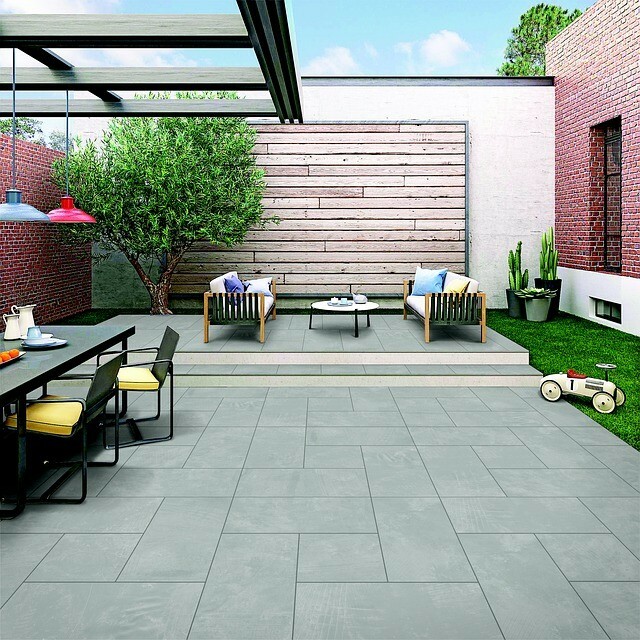 If you’re more likely to spend time in your garden during the evenings, you’d be best off placing your patio in an area that receives the evening sun, and vice versa, if you’re more likely to be outside in the mornings. Containers are a great way to create a low-maintenance garden and you can chop and change them quickly and easily. They can also be moved around easily, so they can be positioned in different areas of the garden or kept out of the way if you’re having guests over for a barbecue or outdoor party. Containers are also very effective in courtyard-style gardens to cover up areas where the fence or wall meets the ground. This area of a courtyard is best covered up, as seeing the join where the wall meets the ground can make a courtyard feel unwelcoming and closed in. Using container plants will help to soften and conceal these joins. Although it may be tempting, you should try not to cram too many plants or shrubs into a courtyard garden, as it is easy for them to become overwhelming and take up too much of your limited space. Therefore, you should try to plant sparingly to avoid a cluttered look. 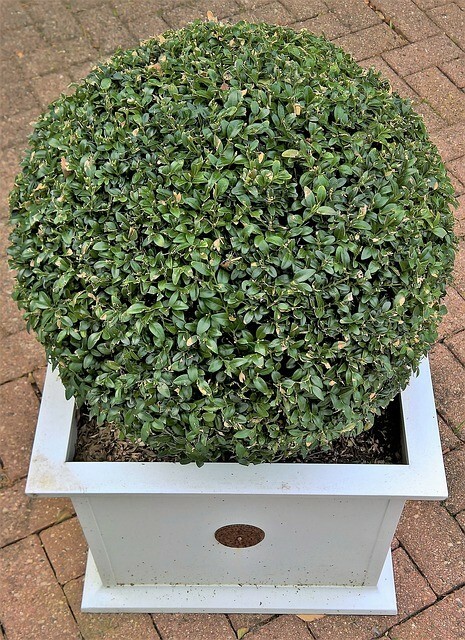 This makes evergreens a great choice, as they will look great all year round and prevent your courtyard garden from looking too bare during the winter months, when your other plants have died back. Evergreens can also be clipped to form shapes that will give your garden year-round structure. 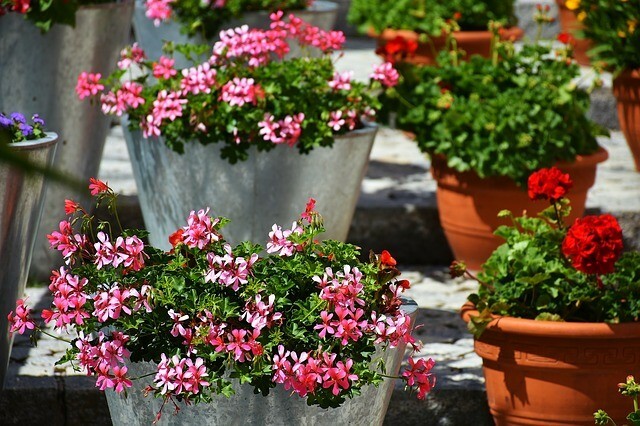 Again, these can be kept in containers, to keep your garden neat and tidy. For more information on choosing the best shade loving plants and shrubs for your garden, see our guide, 10 Shade-Loving Plants & Shrubs for Your Garden. Some of the best garden transformations we have seen our products used in are courtyard gardens. Just because you may be short on space doesn’t mean that you can’t have the garden of your dreams. You just have to plan your garden wisely and avoid doing anything that will increase the chances of your courtyard feeling any more enclosed than it already is. If you get it right, you’ll be rewarded with a green oasis, perfect for getting away from the hectic bustle of an inner-city lifestyle. Do you have any tips for getting the most out of a courtyard garden? If so, join the discussion by leaving us a comment below. We look forward to hearing some of your own ideas.